Compare car rental prices in Gran Canaria. Cars can get booked up fast during peak times. We offer the widest selection of cars and best value for money online. Compare today. 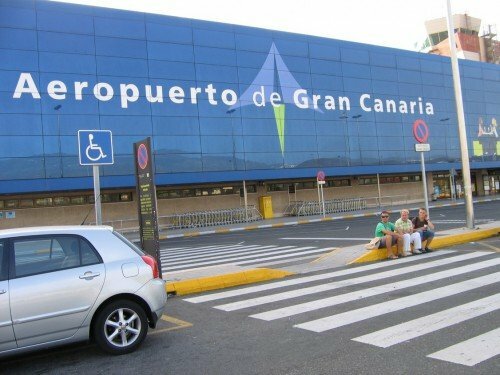 Gran Canaria Airport is also known as Las Palmas Airport and is still occasionally referred to as Gando International airport. Gran Canaria, a name that originally signified ‘Great Island of Dogs’, is the second most populous of the Canary Islands. Sitting around 150 kilometres off the north western coast of Africa, in the Atlantic Ocean, it has become one of the most popular holiday destinations in the world. With its landscape and geography almost making it a ‘mini continent’, there is plenty to see and do for visitors to this holiday island. Gran Canaria is the 5th busiest airport in Spain. In 2017 over 10 million people passed through its doors. A big proportion of the airports traffic comes from neighboring islands. If you are traveling from Ireland then you might wish to try Aer Lingus for a quote. They operate a service from Dublin Airport. The only other direct flights from Ireland leave Belfast and are operated by Thomas Cook Airlines and Thomson Airways. There are 19 airports in the UK supplying flights to Gran Canaria such is the islands immense popularity. There are of course numerous flight options besides Palmas to look into. Fuerteventura, Tenerife and Lanzarote may be worth checking into based on convenience and cost. There’s just one airport on the island, the Gran Canaria-Gando which is acknowledged as one of the busiest airports in Spain with a huge amount of visitors. This number is needless to say so vast simply because the Island of Gran Canaria is a fantastic area to visit and also to vacation. Most of the two million plus visitors to the island prefer areas in the south, which tend to be sunnier and warmer than the northern region. Towards the west of the isle, the landscape is mainly mountainous while towards the east the isle is flatter and peppered with numerous beaches. The Canary Islands are situated approximately 210 kilometres off the coast of Africa and within the possession of Spain. The 3rd biggest isle in this chain is Gran Canaria having a population of close to 800,000. This island might not be the biggest or the most populated but its certainly no backward locale either. Lanzarote, Tenerife and Fuerteventura can all be reached relatively easily from Gran Canaria. Getting around the Island of Gran Canaria is made easy by a series of highways that encircle the whole island and operate up into the mountainous locations as well. Utilizing these highways is a fleet of modern buses, which are a great way to get around and see the isle. Car hire is of course an option we recommend. Our customers find it to be of great use when touring the island. One of the more obvious attractions of the island is the sheer number of great beaches which are on offer to visitors. There is 236 kilometres of coastline on the island, with around 60 kilometres of high quality beaches along it. With superb all year-round sunshine, this really is one of the best spots in the world to enjoy the traditional beach holiday. Several of the beaches on the island have attained a measure of fame, with locations such as Maspalomas, with its long stretches of soft sand, justifiably well known. Maspalomas borders the otherworldly landscape of a dune desert, while you can also enjoy a trip to the Maspalomas lighthouse. If you are looking for family orientated beaches on the south coast, then San Agustin or Puerto de Morgan are lovely places to visit. For something busier on the south coast, try getting close to Puerto Rico. This traditional tourist area is blessed with some of the best weather on the island. The northern coast has plenty of beaches for visitors who are looking for somewhere secluded to enjoy some peace and quiet. Places such as Agaete are lovely places to simply escape from the stresses of everyday life and relax in spectacular sunshine and settings. Also in the north of the island is its capital, Las Palmas. As you would perhaps expect, the beach near to the main population hub is superb, and something of a matter of pride to locals. Called Las Canteras, its mile length is placed in a handily urban setting, and is usually full of surfers and swimmers. Off shore, the waters around the island are a great place to participate in a whole range of water sports, from fishing to sailing and scuba diving. So entrenched are these sports in local culture that there have been six Olympic sailing medalists come from Gran Canaria. World class wind surfers also use the island as a base. There is plenty of opportunity for visitors of all skill levels, from novice to expert, to enjoy themselves in the waters around the island. Simply swimming in the sea in the island’s superb setting is an experience in itself. Search for a low cost car hire Gran Canaria deal. Our prices are among the cheapest you will find online. Search for yourself and see. Take a moment to also compare our car hire Fuerteventura and Lanzarote Airport offers. If all that beach life gets a little boring, then there are plenty of other things which can fill your time. 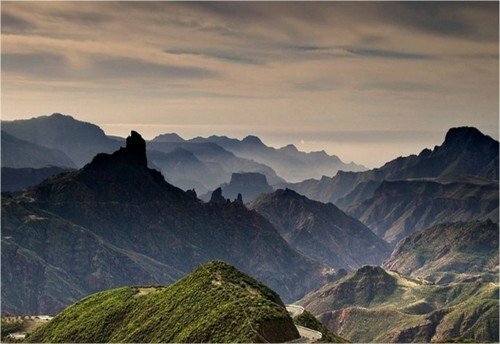 For people who enjoy natural wonders, Gran Canaria is interesting in that it is almost a mini continent, with a broad collection of unique ecosystems almost unheard of in such a little place. The island is a haven for nature lovers, with its series of unique habitats seeing it awarded ‘Biosphere Reserve Status’ by UNESCO. The area covered by the designation includes half of the landmass of the island, and includes six rural villages which help to keep traditional modes of life alive. Gran Canaria, thanks to its insular situation in the Atlantic, has some unique plant life to enjoy. Its geography also contributes to the unique environment of the island. A vast depression, the Tejeda Caldera, runs through the centre of the island, draining the rain water which falls on the high mountain slopes. The views from the slopes of locations such as Mount Las Nieves are quite spectacular. Many slopes are covered with thick forests of Canarian Pine, a tree which is found nowhere in the world outside of the Canary Isles. Palm trees inhabit the lowland valleys, along with salt cedars and enticing willow groves. If you are interested in fauna rather than flora, loggerhead turtles and two species of dolphin can often be seen in the sea. 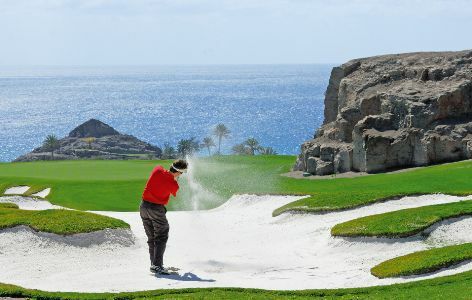 Many people head to Gran Canaria to play golf, and it is easy to see why. The great weather means that you do not miss a round because it is raining, while the facilities are now some of the best in Europe. The first golf course on Gran Canaria was actually opened back in 1891, so there is a relatively long tradition for the sport on the island. Modern day visitors can play at eight different courses, all of which are within a 50 kilometre radius, and offers different challenges and landscapes to be negotiated. All of the big locations, Tenerife, Lanzarote and Fuerteventura offer excellent possibilities for golfers. Gran Canaria has a surprisingly involved history, for such a remote island, with many different ethnic groups and cultures mingling here. The Guanches were the pre-Hispanic inhabitants of the island, and visitors can explore their legacy, and that of the other peoples who have colonised the Canaries, at the the Museo Canario in Las Palmas. If you want to see more of the areas history, then a trip to the Cueva Pintada museum is highly recommended. Here, visitors can see carefully excavated archaeological sites as well as many artifacts and beautiful art works from the past. Dining out on Gran Canaria is not a problem, and there is plenty of good local cuisine to enjoy. As you might expect, the seafood is particularly good. The warm climate also means that plenty of plum fruits and vegetables are produced here. 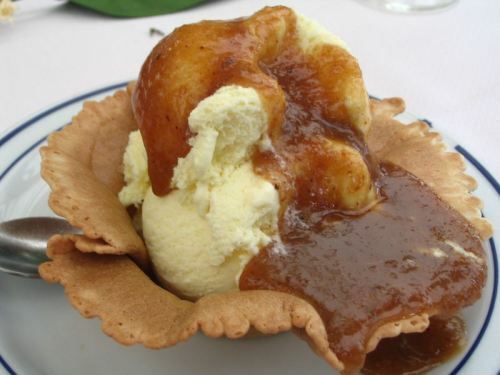 Los enyesques are the local version of tapas, while desserts are often served with a sticky honey and almond sauce called blenmasabe. Each area has its own great venues serving up marvelous cuisine, and asking locals is a good way to establish where is best. The local wine is also well worth a slurp or two. Taxis are accessible for hire outside all 3 airport arrival areas at the airport terminal. There are also bus services available. Should you feel like seeing some of the other islands then instead of a flight you might prefer a relaxing ferry ride with various port stops. Don’t forget to check out our cheap car hire Gran Canaria Airport rates as another option. When you compare car rental prices, you can easily spot the best offers. If you are vacationing in Gran Canaria, you’ll probably be staying in one of the resort communities on the south part of the island. There are tourist flights that provide aerial views of the isle, usually a fascinating adventure, and numerous parks and preserves, most of which are open to the public. 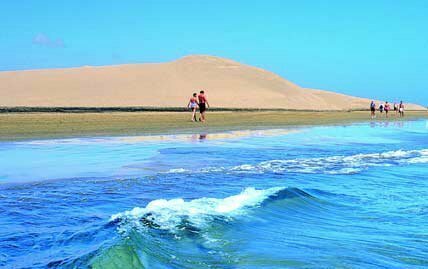 Attractions consist of the Dunes and Lighthouse of Maspalomas, Roque Nublo, botanical gardens, and a great deal more. You’ll discover destinations on Gran Canaria for just about anybody, from a community that welcomes gay tourists to places for the whole family to appreciate, to spots for honeymooning couples to romance and more. Whether you are looking for a quiet holiday, spent underneath marvelous sunshine in a rural, pine covered idyllic retreat, or prefer something a little more lively, Gran Canaria is a great choice to make. The nightlife in Las Palmas is excellent, while the sloping sands of the dune sea or the sight of dolphins playing in the bat really can take you to another world. Gran Canaria really is like a world of its own. The other islands such as Lanzarote and Fuerteventura are all within reach if you have lots of time.